Good, excellent in every aspect. We would book it again in future visits. 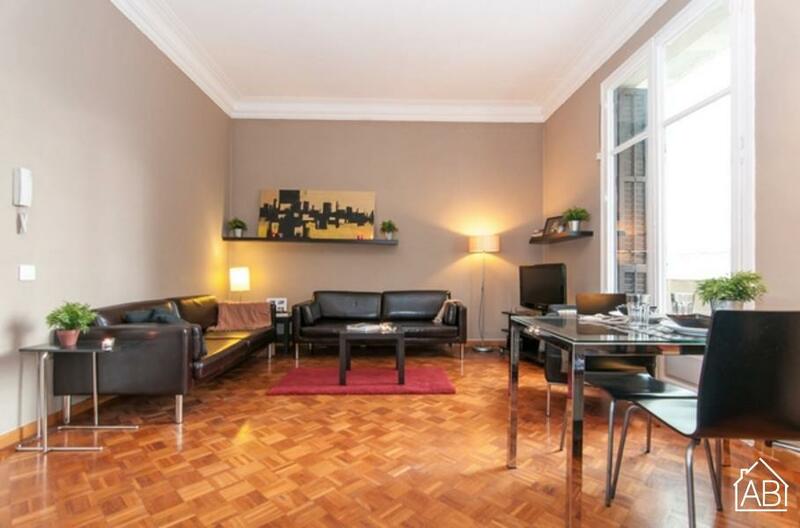 This beautiful one bedroom apartment is situated in the heart of stylish Eixample, a prime location in Barcelona. Although within walking distance to the city centre with attractions such as Las Ramblas and the Boqueria market, Eixample has its own, distinct personality and is a favorite with locals. With chic bars, cafés and restaurants, and endless shopping options this is a great place to stay to enjoy the best that Barcelona has to offer. With a cosy double bedroom, elegant lounge, and lovely balcony this is an ideal place for a relaxing city break. The apartment comes with everything needed to ensure a comfortable, hassle-free stay; Internet, television, bed linen, towels, heaters and more.